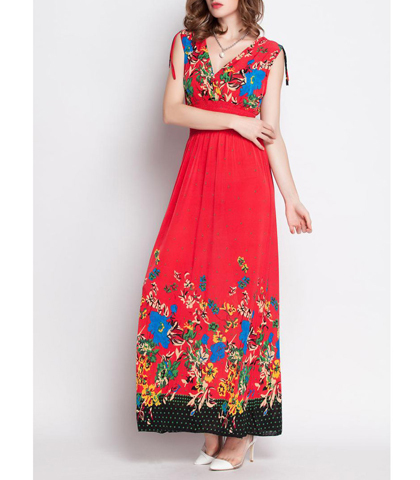 A soft v-neck front and back give this dress bohemian styling and plenty of color. The waistband has an elastic feature which hugs your body. Generous armholes work well with a plunging v-neck front and back. Shoulder straps on each shoulder can be adjusted to fit your body. A contrasting hem finishes off the bottom of this fine dress. Four bold, bright colors give you plenty to choose from. Choose matching accessories to wear with this dress and enjoy it! Medium size; bust 78-100 cm, total length 130 cm.